okay, i should first tell you three things: i have never liked “firelogs” OR cockroaches; i have always LOVED old photographs, sentimental papers, family archives & stuff like that. firelogs being those fake things that people who don’t know how to build a REAL fire use to build a fire. it’s a wimpy, no-good shortcut & my first husband, who knew his firebuilding stuff, wouldn’t have used a “firelog” for all the wealth in china, which is to say he would have rather gone to his death kicking & screaming. he was, after all, an indian guide with his father, used to build models of warships to have REAL WARS with his youthful, boyhood friends in the creek, and would gladly set his hours-of-work-invested masterpieces on fire just to have the satisfaction of winning!! get my position on firelogs? and see how i can see noble virtues even in people whom i couldn’t manage to stay married to? my judgment is, in other words, EXTREMELY RELIABLE & TRUSTWORTHY. i don’t say that to toot my own horn. ask anyone who has really loved me & been the recipient of my love. ANYONE, i dare you. on to cockroaches. i would rather deal with the deadliest poisonous snake on the planet than a cockroach. poisonous snakes at least exhibit LOGICAL behavior. cockroaches are entirely unpredictable. they will fly toward you, away from you, straight up, straight down, they will hide, attack, scuttle into the woodwork, fly into the light — and they will do all these things SIMULTANEOUSLY. you leave a poisonous snake alone, you creep quietly and smoothly at the highest speed possible in the opposite direction from said snake — with respect in your heart and self-preservation in your mind — that admittedly lethal snake will leave you alone. all that being said, there are still a few people whom make cockroaches look GOOD. their names are unavailable to the public, or in fact, anyone but me. as a poet & an attorney, i keep secrets for two separate livings/careers/vocations/callings/professions. so don’t bother to ask. next we must discuss the third topic: my family & personal archives. i am very careful & protective of these. i don’t have a fireproof safe like my dear grandfather the tax attorney/professional trustee, but i am careful enough for my purposes. today, however, makes me question that prior assumption. i was in the process of posting to this “blog” a poem about my darling eldest daughter, and i wanted to add to the post the first picture ever taken of her, the picture that inspired the poem (well, actually SHE inspired the poem, but the picture would have helped people understand exactly HOW she managed that inspiration). so, i opened the built-in brick and cypress floor cabinet the builders of my danish modern home (1953, and they were in fact from denmark) added to store their firewood, right next to the fireplace itself, and incorporated beautifully into the design of the room. a lovely piece of work, in other words. yes, i opened this cabinet. do you want to know what i found? do you really? i don’t know that you want the grisly details. suffice it to say, roaches cannot chew through the thick plastic of the bins i have my archives contained in, the contents sorted by type, author, & era. carefully packed. tightly sealed. so don’t panic, the contents of those bins are perfectly fine. 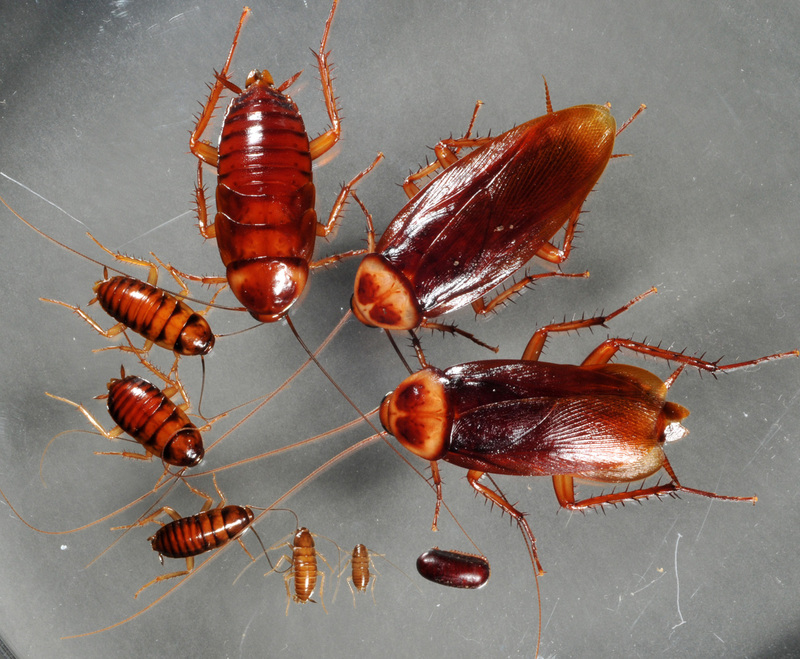 let’s just say, it is obvious where the roach problem i have experienced this season so far has been coming from (the large, american cockroach/”palmetto bug” kind, not the little horrible german cockroach kind which is easily controlled just by cleaning up ones kitchen & having a pest control service)! roaches CAN, however, chew right through the wrappers of the case of “firelogs” i had also stored in the aforementioned fireside cabinet to keep them away from my darling kitty maynard. he smelled them once, the day they came home from the store, and tore a “firelog” bag open himself & proceeded to gorge on this “firelog” because it smelled of molasses, thick rich molasses that made anyone, animal or human, who smelled it crave molasses cake or cookies, or anything prepared with molasses, or even just a big, gnarly spoonful of it, placed in the mouth with reverence. when maynard did this, he shortly thereafter vomited the stinkiest vomit & shat the stinkiest diarrhea i have ever personally observed, and let me just say right here that i have experienced vomit, bloody vomit, diarrhea, bloody diarrhea, and every other possible combination of horrifying personal body fluids & excretions you can imagine, and had to clean them up unaided except by a steam cleaner. get my drift? of course the animal poison control hotline, which costs almost $100 just to consult, but is worth every penny, explained to me that while producing unpleasant effects, the “firelogs” were not toxic and that my darling kitty would be ok. still, after this incident, just to be safe, i thence stored the case of “firelogs” inside my solid, unbreachable (or so i thought) cabinet so that we would not have to be subject to any more foul, stinking bodily excretions, nor have to clean up same. it took me quite a while (a few hours, anyway) to get into the right headspace to clean up this debacle. luckily, my bug man placed baits inside the chimney (which was their conduit in & out of the house to get food & water), AND closed the flue, which my ex husband & i mistakenly thought we had closed at the beginning of last winter. oops! big, big, big mistake when you are dealing with cockroaches. you must think like a tiny, flexible, numberless, resourceful invading army. you must think small, which isn’t always easy!!!!!!!!!! my grudging respect for these creatures (which god, after all, thought should be here for some reason which i will press him for, when & if we meet in person), has had to be adjusted even farther upward. it is not mythology alone which says they will be the last surviving creatures on this earth should we experience some lethal global tragedy. damn! Different seasons say a lot about the final design of the invitation cards. Here are a few benefits that you can enjoy from using online wedding invitations services:. I’m from Montana, and I was wondering if you had any news of that con man Leslie Gaines? I heard he was basically homeless, and had to sell all his camera equipment… he’s living in some sucker from Texas’ guest house… good luck with your writing, I think you’re doing a great job.